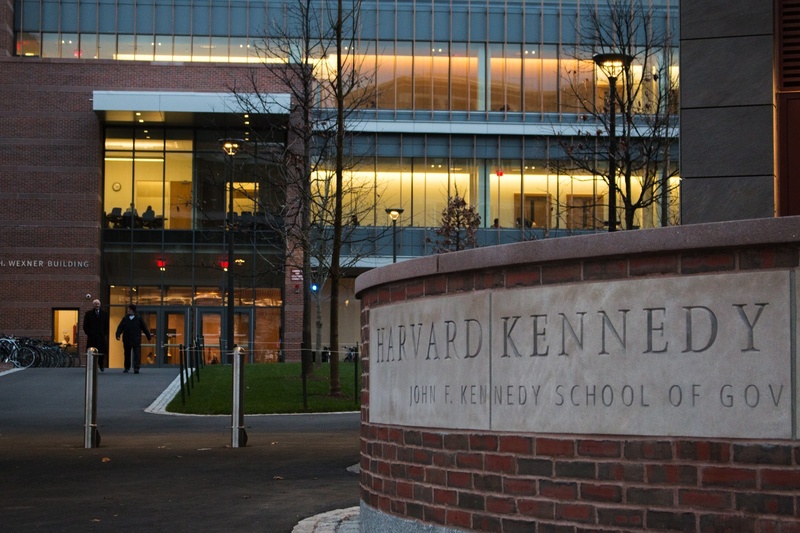 Harvard affiliates at America Adelante—an invitation-only conference hosted at the Kennedy School meant to foster leadership and collaboration between Latinx individuals—listened to students of color from Parkland, Fla. talk about the #NeverAgain movement to stop gun violence on a conference call last weekend. In February, 17 people were killed after a shooter opened fire at Marjory Stoneman Douglas High School in Parkland, Fla. Since then, students from the school have spoken out against gun violence on social media, ultimately organizing a march in Washington D.C that drew thousands and galvanized support for gun control. Ten Parkland students called into the conference to share their experiences with attendees, who ranged from Harvard students to politicians and executive directors of various companies. The students said they hoped to convey the many voices in the #NeverAgain movement, especially those of students of color, whom they said have so far not comprised the focus of the movement. The group of students that called into the conference is currently working on a campaign to share and broadcast personal stories of gun violence in all situations—stories that may not have appeared in national publications and news outlets. The campaign, called “Stories Untold,” is available on Twitter and Instagram. 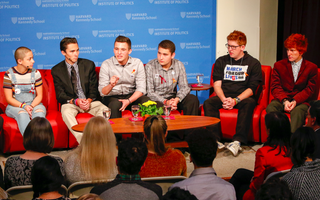 A different group of students from Parkland—including Emma González, who has largely become the face of the #NeverAgain movement—visited the Institute of Politics earlier in February. The students on the conference call said different stories took place in every classroom across Stoneman Douglas. Several conference attendees said they have changed their approach to the movement against gun violence after hearing the students speak. She added that she is making a “commitment” to feature the students’ stories on a video series for Mitú. “This isn’t just a moment. This is a movement. We want to propel the ideas that come out of these wonderful people into the culture at large,” Herb Scannell, CEO of Mitú, added. Rodriguez is a vlogger, and, amid the chaos that ensued during the shooting, he captured some footage of his experience. Some of that footage depicts students running and hiding. Other students described their fear and uncertainty during the shooting. Four people in Williams’s class were shot. She described having to run past bodies in the hallway to get out of the building. “Nothing felt real in that moment,” she said. The students on the call also talked about what happened after the shooting and detailed their activism around the issue of gun violence. “They should have realized it at Columbine. They should have done something then,” Rodriguez said. Sanabria said in an interview after the discussion that she laments not having the chance to remind conference attendees to actively continue having conversations. A shooter opened fire at YouTube headquarters Tuesday, injuring three and killing herself. —Staff Writer Andrea M. Bossi can be reached at andrea.bossi@thecrimson.com and on Twitter @bossi147.